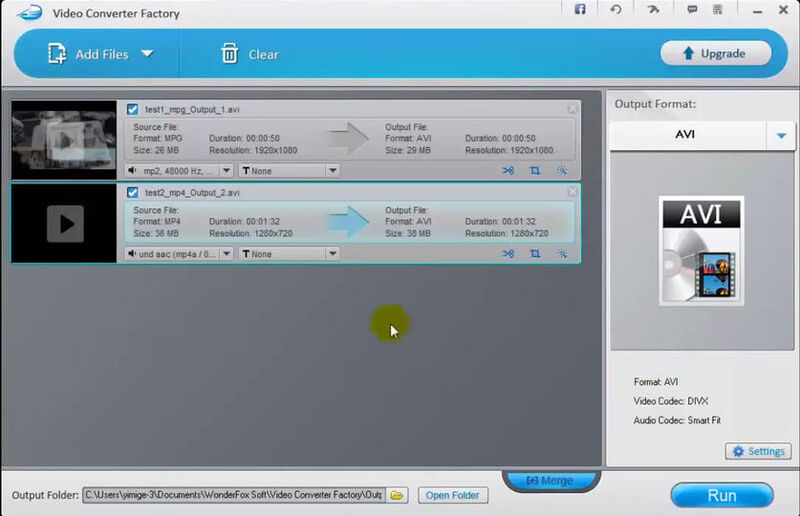 Free Video Converter Factory is a useful video conversion utility that supports almost all popular video and audio formats. It is optimized to provide speedy results while keeping the interface simple enough for a beginner. It can support converting between almost any kind of video format and it also can output with appropriate settings for particular devices. Supported video formats: AVI, MPG, MP4, WMV, MKV, ASF, 3GP, MTS, WEBM, VOB, FLV, SWF, F4V and more. Supported Devices: iPhone 6/6 Plus, iPhone 5S/C, iPad Air2/mini 3, Apple TV, Samsung GALAXY series, BlackBerry, HTC, Nokia (Lumia 2520/Icon/1520 included), Kindle Fire, Nexus, Surface, TVs (Samsung/LG/Sony/Panasonic/Vimeo, etc included) and many more.